2016's Blair Witch reboot may have landed with a thud, but that doesn’t change the fact that it’s cheap as hell to go out into the woods and film some kids reacting to terrifying supernatural threats just offscreen. 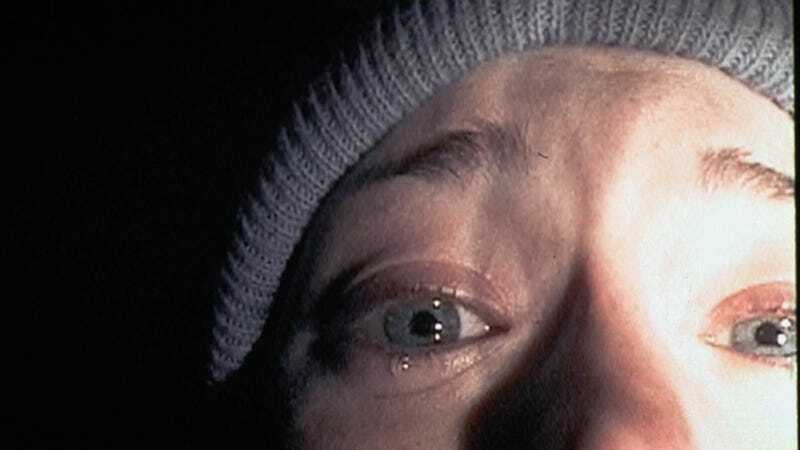 That, and the original Blair Witch Project’s incredible $248 million worldwide box office—on a $60,000 budget, no less—is presumably what’s driving Lionsgate’s attempt to squeeze every drop from the franchise, as casually mentioned in a Deadline article about the studio’s new slate of digital content yesterday. Revealed in the same breath as a mention of the long-in-development Waiting... TV series, the trade publication says: “The studio is also developing a series based on the horror phenomenon The Blair Witch Project.” That’s about all we’ve got for now, so as always, stay out of the forest—or you might wander into the director’s shot.